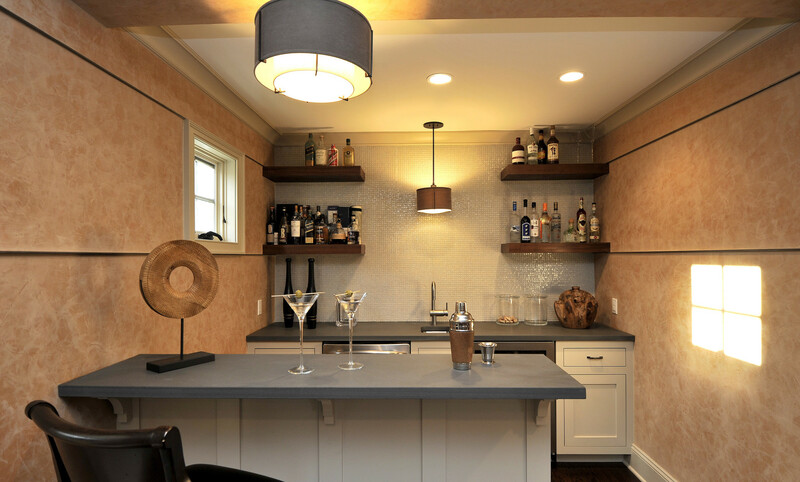 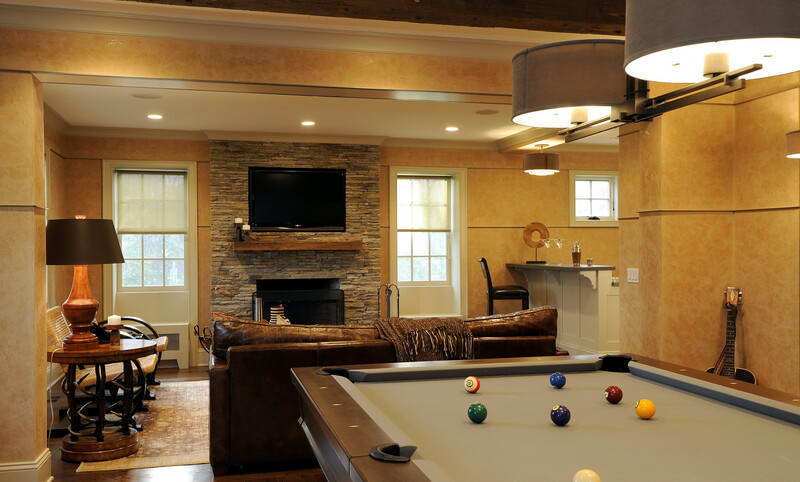 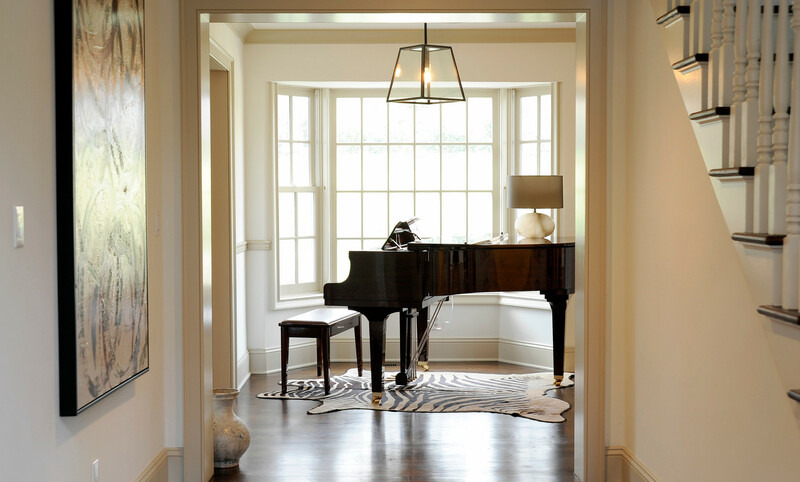 The Cue Spot is an extensive renovation of a 1960s colonial. 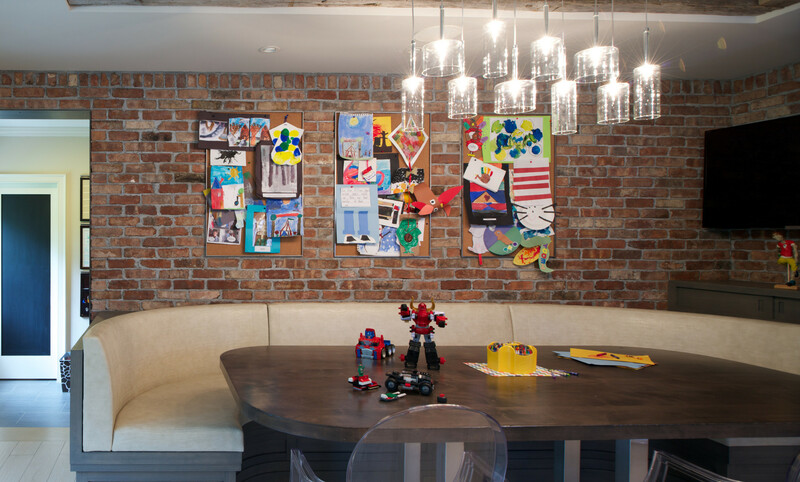 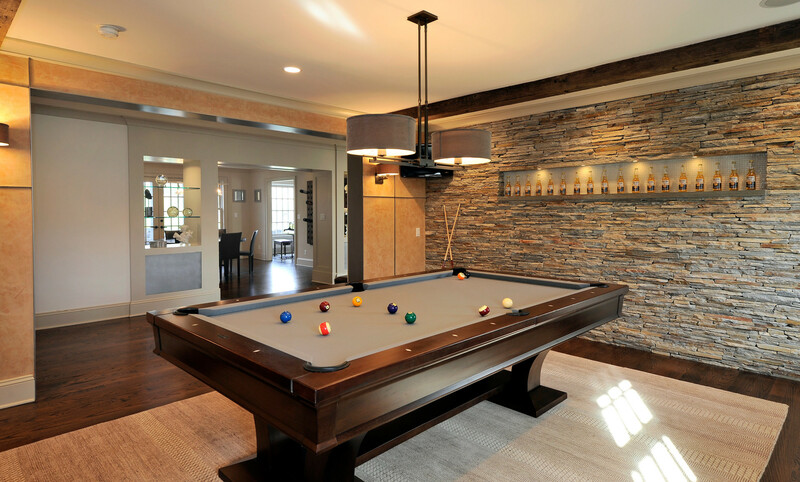 The new design opens circulation and seamlessly integrates a remodeled modern kitchen, new dining areas, and living room lounges, and a cool, contemporary billiards family room. 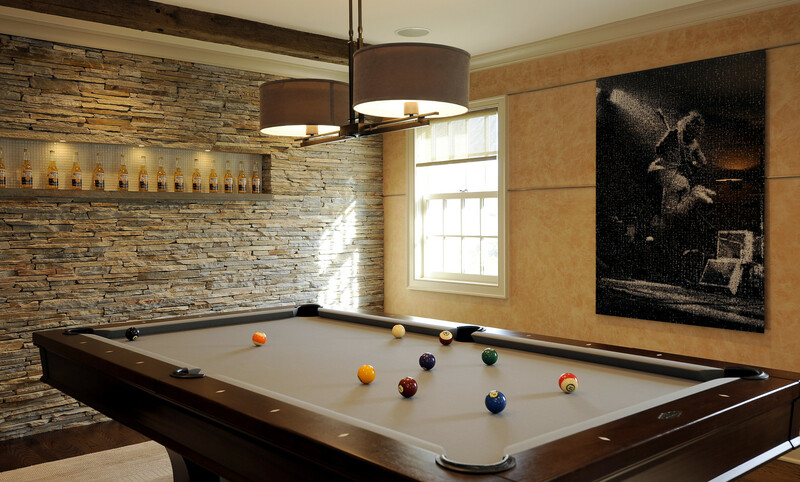 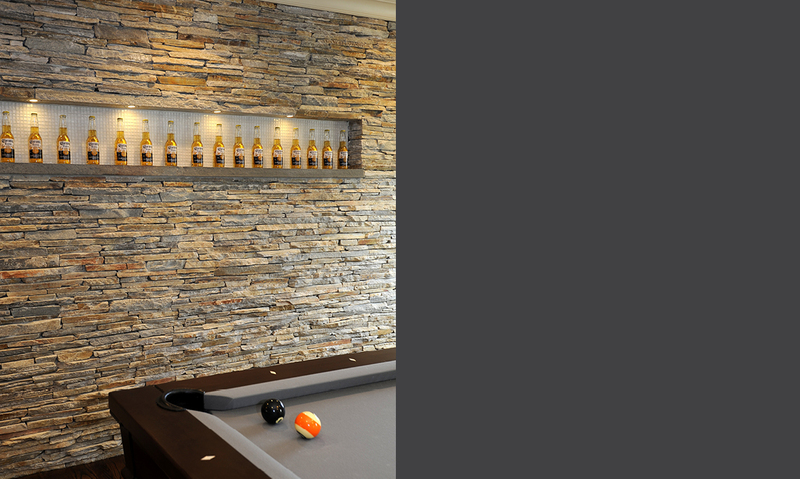 Marked by entryways detailed with industrial steel sheeting, the ”cue spot” billiards lounge is a textured juxtaposition to the dining room’s gallery-white aesthetic. 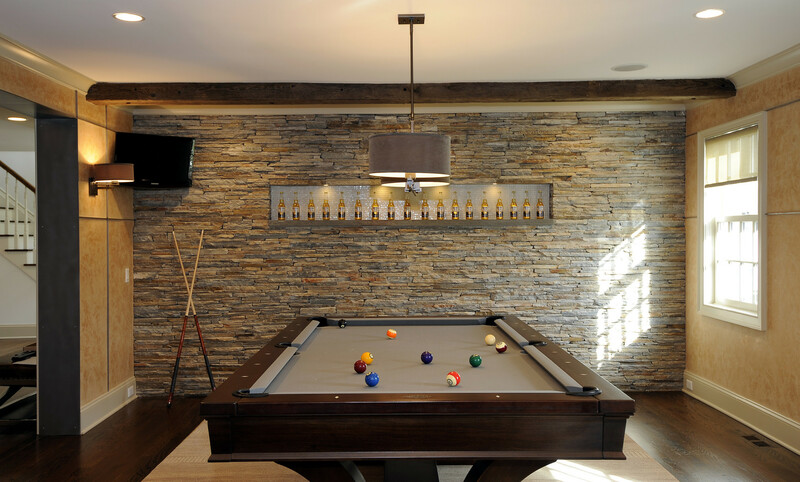 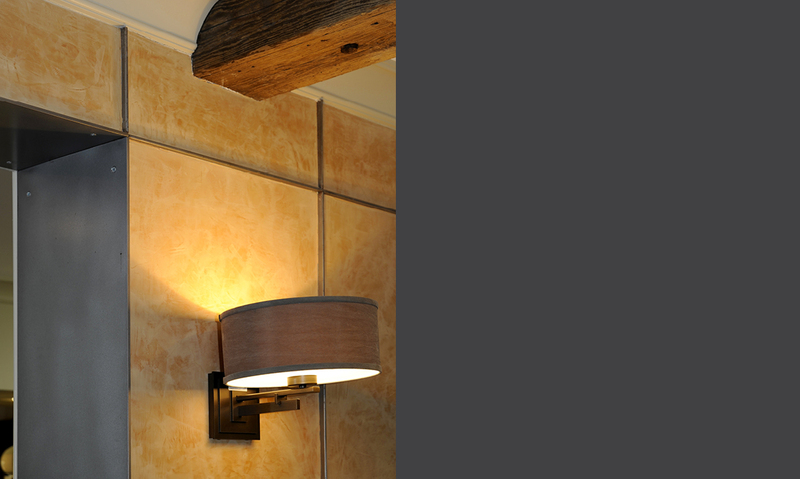 Basked in warm hues, the space features custom lighting, faux finished walls with steel plate detailing, and a ledgestone interior accent facade. 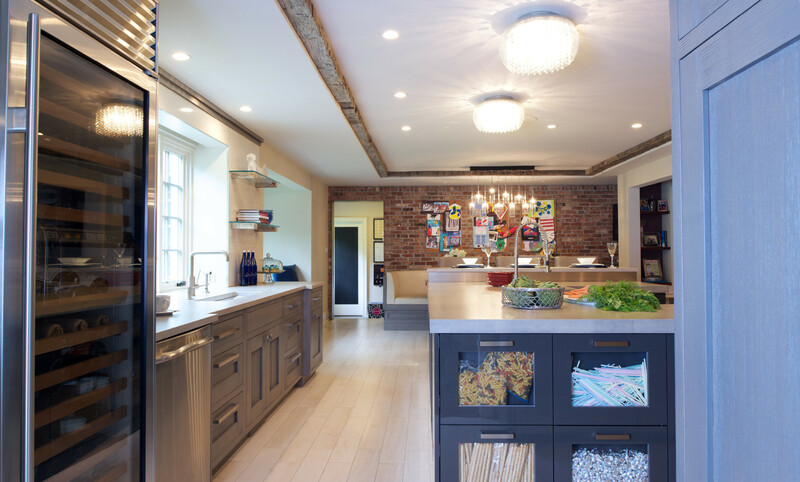 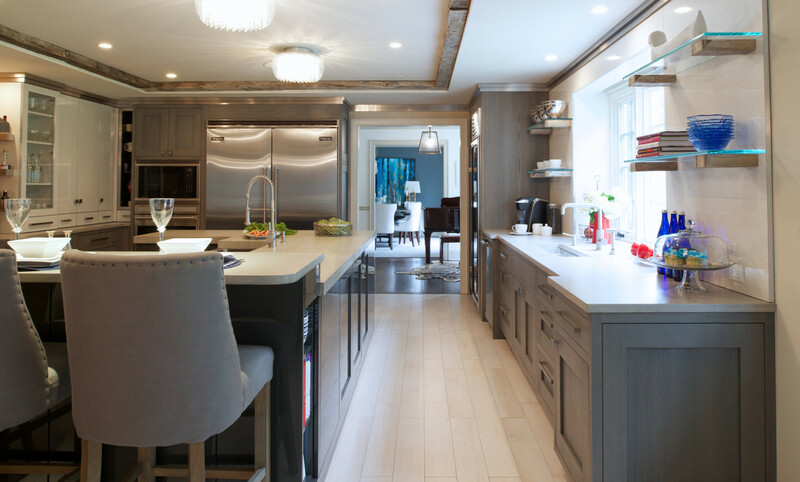 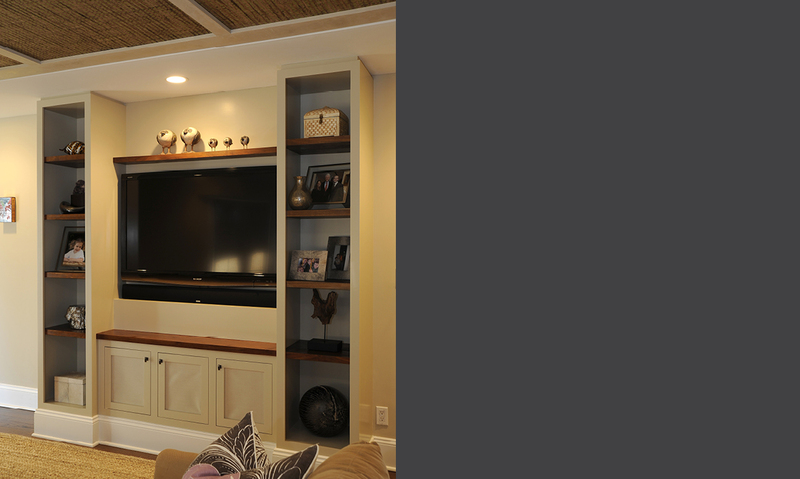 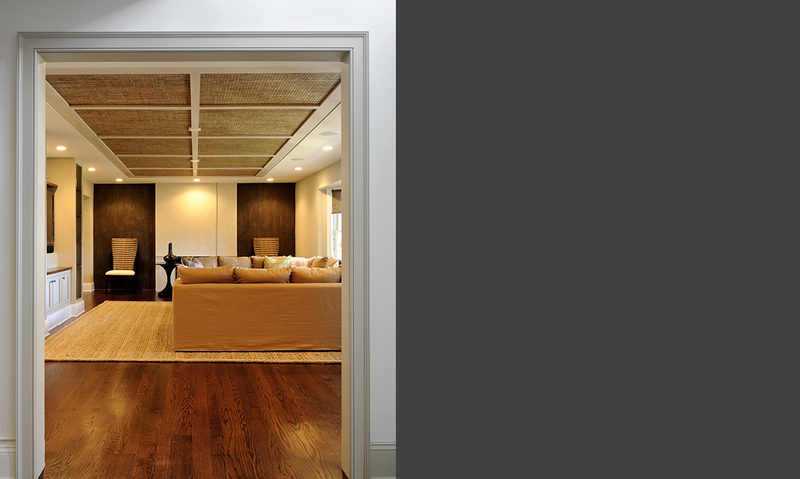 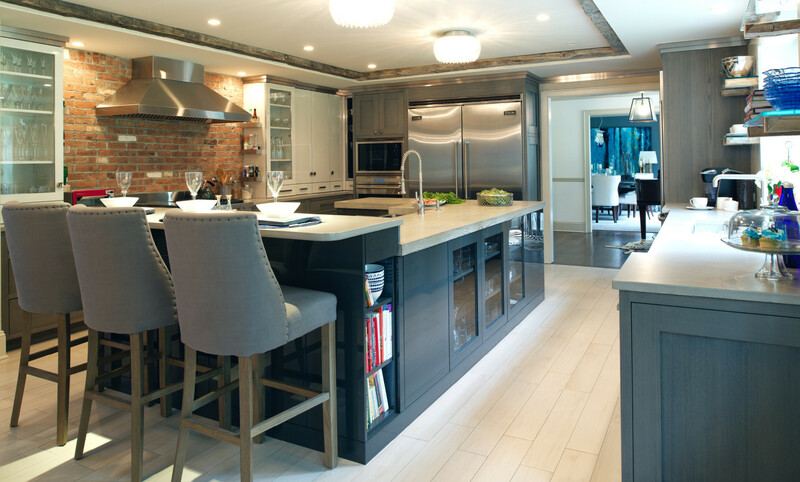 In the kitchen, a new timber-outlined coffered ceiling was designed to create the illusion of height. 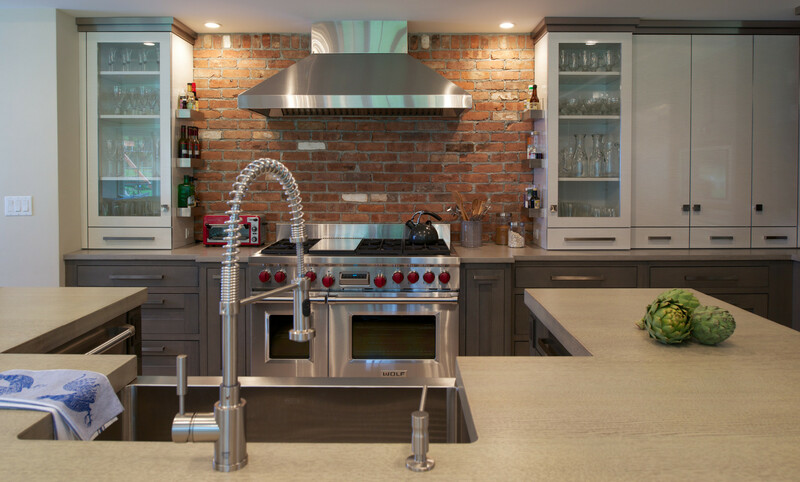 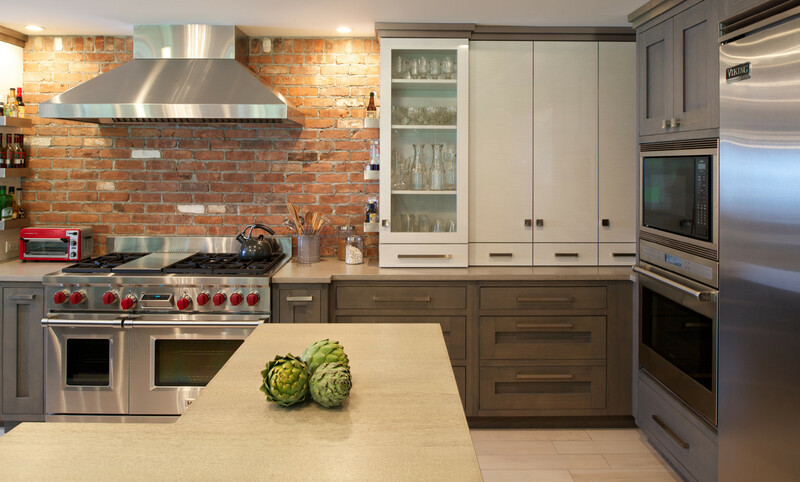 Layers of steel detailing, reclaimed brick, concrete counters, a charcoal lacquer, and cerused gray oak cabinetry create a modern industrial backdrop and casual mood for everyday living.